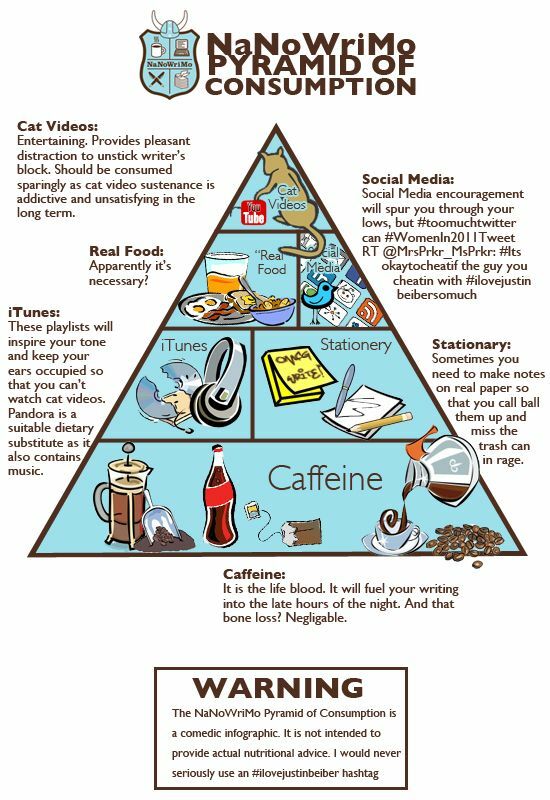 This infographic was created last year by Amy Leigh Strickland @nimbuschick and blog, shared fully on the Wrimos FTW blog which now appears to have become defunct since December. Amy is doing NaNo again this year, so hop over to her blog to share her progress. Not sure about the cat videos but everything else is dead on. Maybe it should just be you tube videos rather than cats. That might work!